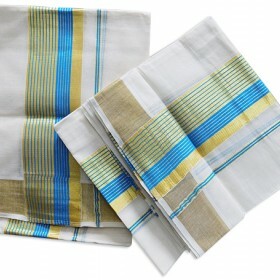 Kerala Mundu & Neriyathu with Blue Kara is a traditional Kerala Style Set Mundu for occasions su..
Get your exotic Kerala kasavu churidar from MALABAR SHOPPING with off white color having golden and .. 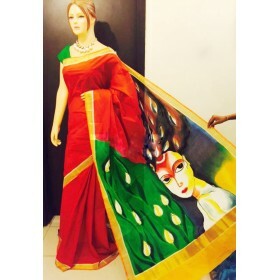 It is a beautiful Off white and Red combination kasavu saree with thread border from Malab..
We are bringing a new traditional model for pure cotton Kerala saree with hand painted having double shade which gives an appearance of half saree for a simple look. 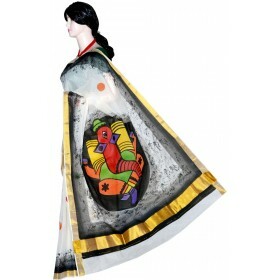 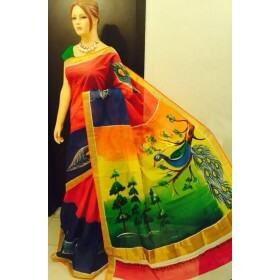 It has red background color on its top fleet and pallu along with the floral hand painted design makes rich. 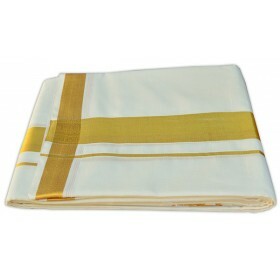 With off white back ground on bottom fleet it has a special vector design along with the golden kasavu which makes it simple and beautiful. 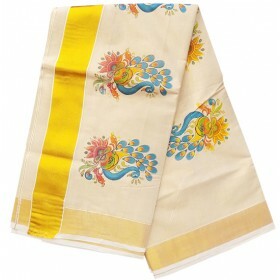 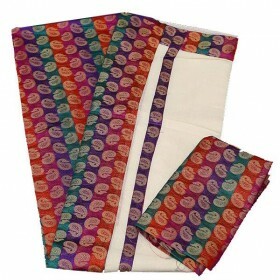 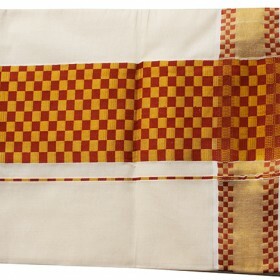 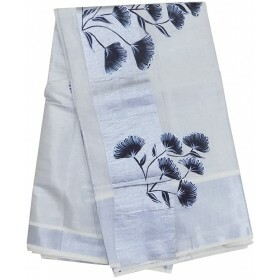 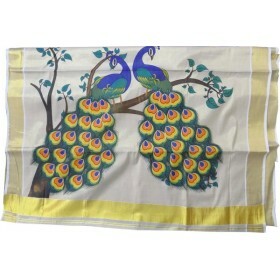 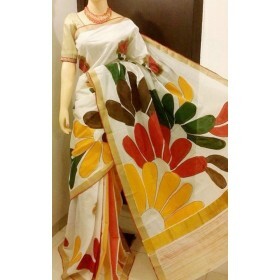 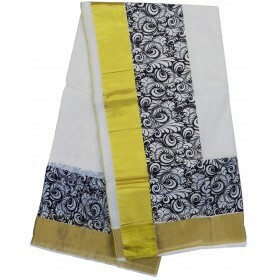 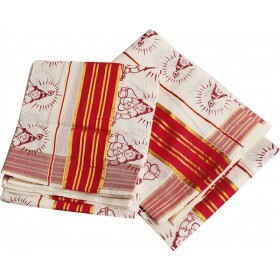 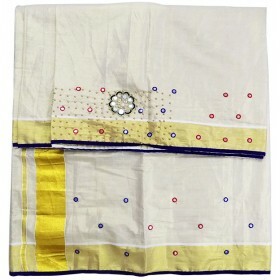 This good looking saree can be used by any aged one for their special moments.